The Complete Golfer in White Plains, New York has been working with golfers of all levels to help improve their game for over 28 years. Enjoying business relationships with nearly 70 tri-state area golf clubs, both private and public, The Complete Golfer has provided professional fitting, instruction, club repair, and customization services with one goal in mind, to help golfers play better and enjoy the game. The $4 billion golf industry designs golf clubs for the "average" golfer, But there is no such thing as an average golfer. 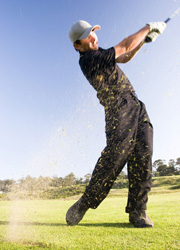 At The Complete Golfer we understand everyone’s swing, needs and goals. We offer the state of the art Launch Monitor, Shaft Swing and Putting Analyzer to optimize your golf game. Do you love your current set of clubs, but wish you could get a few more yards out of your shots? Maybe your looking for more consistency? Whatever your needs maybe the club fitting professionals at The Complete Golfer can help you select the correct clubs, shafts, grips and ball combination to play your best. 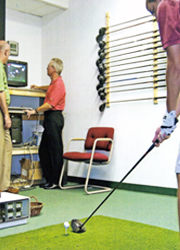 We have the state of the art equipment to analyze your game from tee to green. 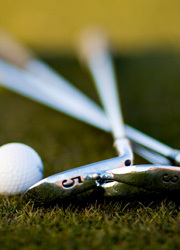 We provide expert repair services on all makes and models of golf clubs. Our work is fully guaranteed. At The Complete Golfer we are an authorized dealer of most major golf club and component manufactures. Not only do we have access to a full line of golf equipment and components, we offer competitive pricing, expert knowledge and professional experience.